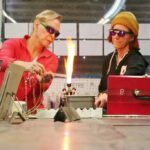 Sonoran Glass School is a public-access educational organization dedicated to inspiring people of all ages to discover the wonder of glass art. We teach students and the general public how to create and appreciate glass as a visual arts medium through educational courses, one-on-one experiences, visiting artist seminars, and community events funded by SGS members and supporters. Sonoran Glass School, a 501(c)(3), nonprofit educational organization, exists because of donations, public grants and private support. 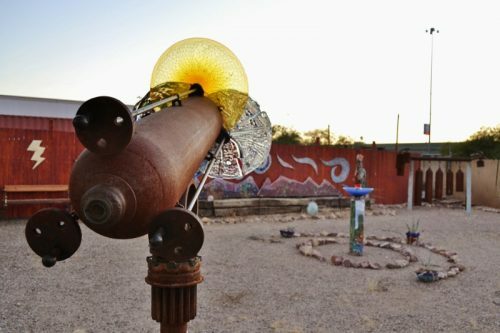 Our glass community is dedicated to fostering glass as an exciting and thriving visual arts medium in Tucson. Proceeds from our classes, membership dues, gallery sales, and events support the education and advancement of glass art and glass artists in Southern Arizona. – Thank you for your support. 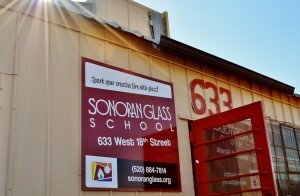 Founded in 2001, Sonoran Glass School began as the dream of a small group of local glass artists. 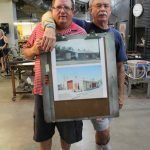 Tom Philabaum and Dave Klein formed the Sonoran Art Foundation, Inc. They acquired a rusty, closed-down tire station in one of Tucson’s oldest barrios south of downtown and grew it into something truly special. Now, starting our 19th year, we continue to grow. Thanks to our supporters and volunteers, we’ve built four studios, each dedicated to a different glass art medium or skill. Sonoran Glass School offers classes in furnace glassblowing, soft and borosilicate glass torchworking, glass kiln-fusing, and coldworking. 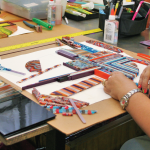 Today, we’re the only full-service, nonprofit glass arts education organization in the desert Southwest. 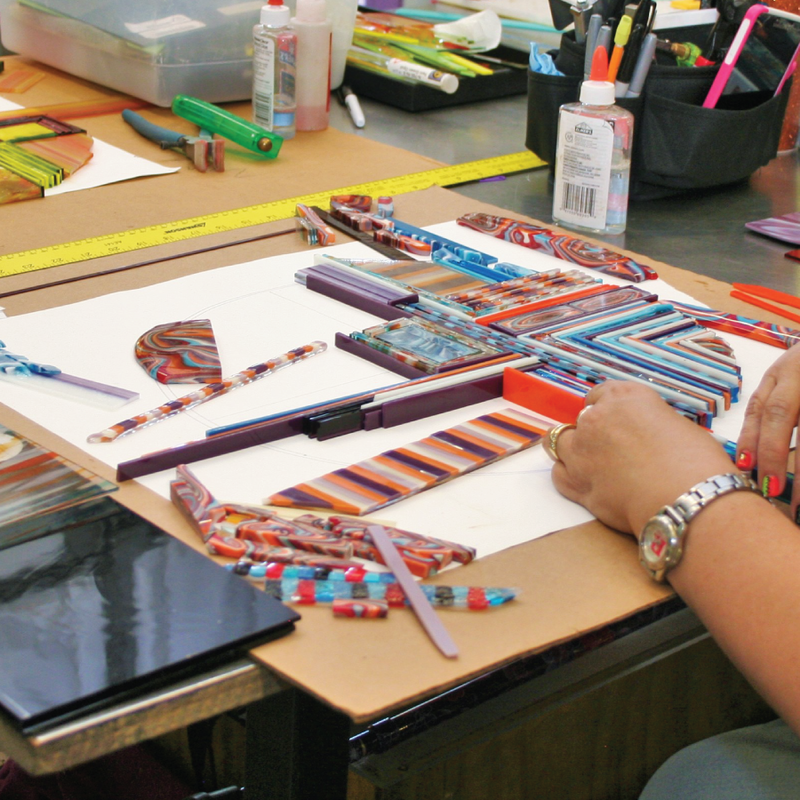 We provide educational opportunities for beginning to advanced glass artists through our classes, visiting artist workshops, and community events. 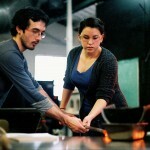 Our team of gifted instructors teach all glass art techniques through private lessons and studio classes. Our community programs are rooted in education and public awareness of our mission, and fall into three basic categories. Youth Programs—Through our work with Tucson-area schools and youth organizations, we provide elementary-through-high-school-aged children with glass art programs and educational experiences. 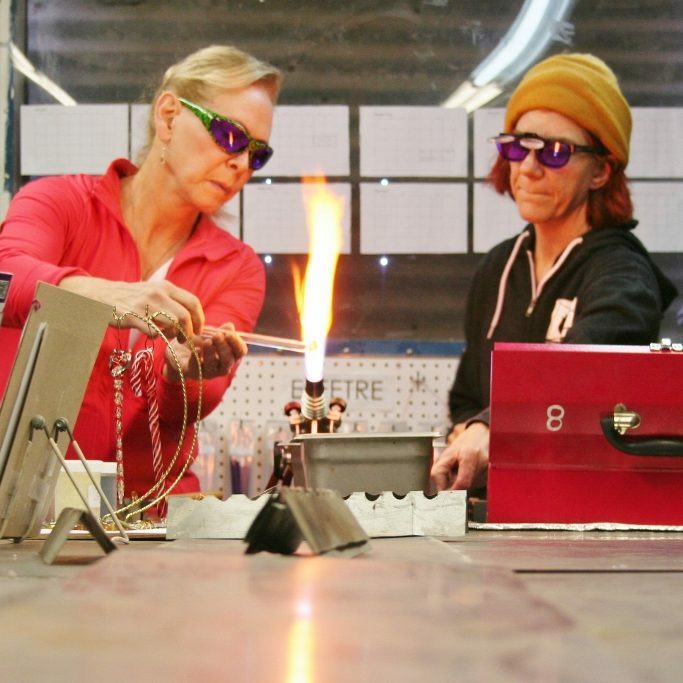 These experiences include demonstrations and courses in glassblowing, torchworking, and kiln-firing. We offer these experiences at a free or reduced cost thanks to generous grants from the NEA, TPAC, and the Arizona Commission on the Arts. 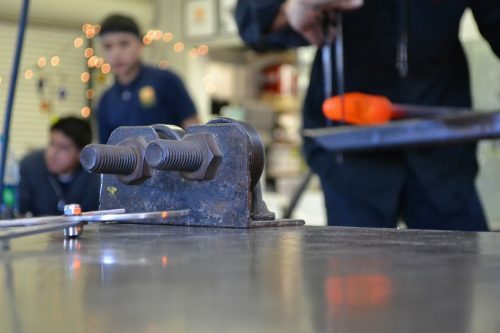 As of Spring 2016, over 5,800 students have through our doors to learn about or experience the glass arts. College Programs—Through our partnerships with the University of Arizona and Pima Community College, we offer furnace glassblowing courses for college credit (ART 265) to Tucson’s collegiate community. 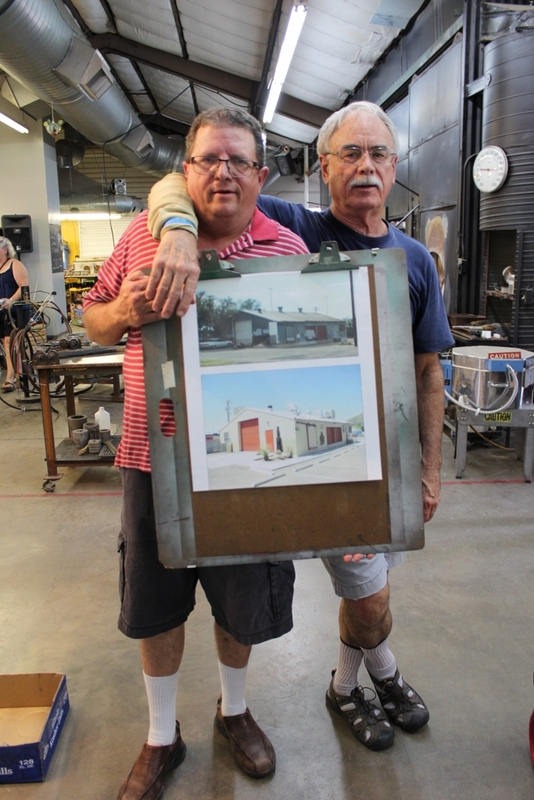 Community Outreach— Sonoran Glass School exposes new populations to the wonder of glass art through programs, lectures, and experiences for Veterans (33rd Boro Platoon) and senior citizens (Osher Lifelong Learning Institute at the University of Arizona).